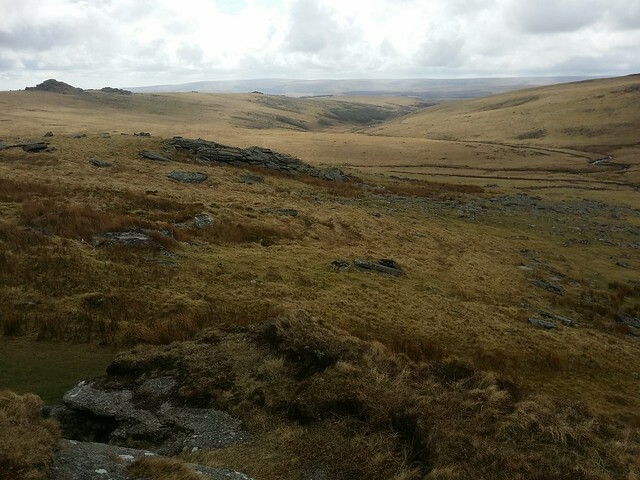 When I looked at the Social Hiking map of Dartmoor Tors and Rocks, I could see a fair area of unbagged tors in the middle. 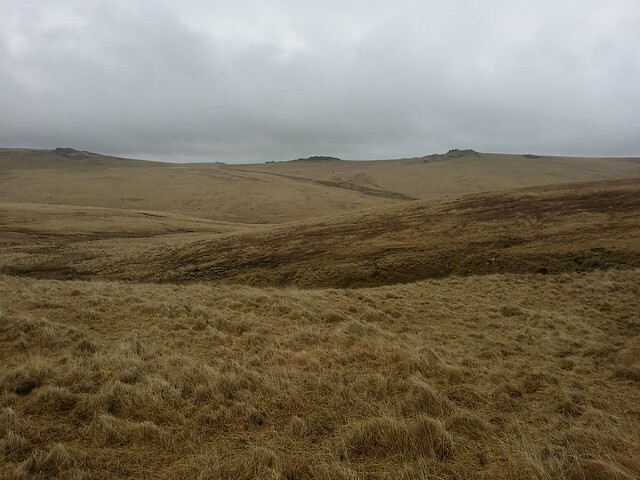 Now, I have wandered about that neck of the moor a few times, but these were before my gps tracking days and so not "official". Time to remedy that! I parked up at Holming Beam. What a difference, with its shiny new approach road and plentiful passing points. I'll definitely be visiting here more often to cut the time onto the north moor. 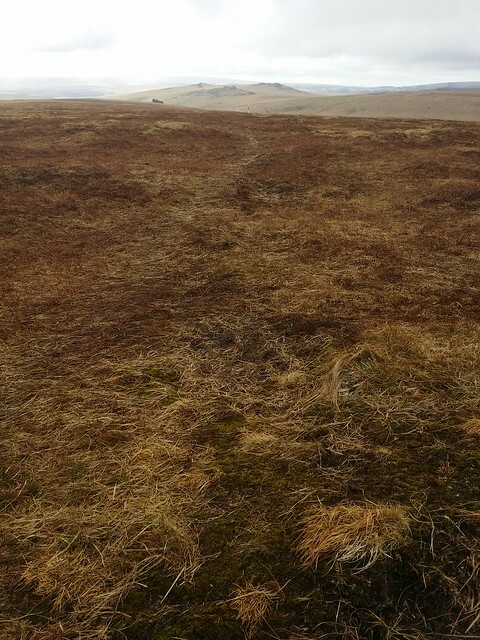 Leaving the car park, north along the unsurfaced section of the track, the going soon becomes a meander across the boggy edge of Black Dunghill, above the Cowsic and Holming Beam Bottom. 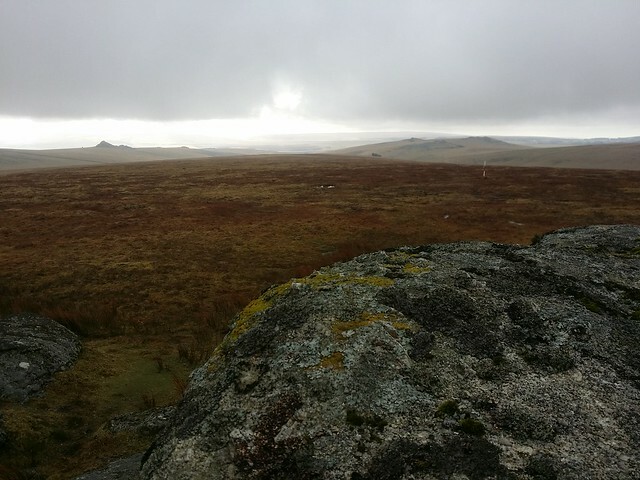 On the horizon, ahead, I spotted Conies Down Tor, just as the hill began to fall to Conies Down Water. Before the stream was reached, I was drawn to an intriguing boulder sat upon a tuft of grass, surrounded by a sandy moat. 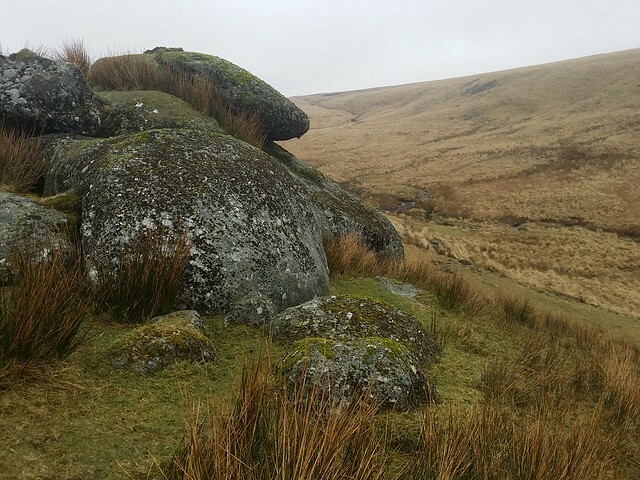 The Legendary Dartmoor website speaks of a lone boulder here, that was once home to a small brass cross. 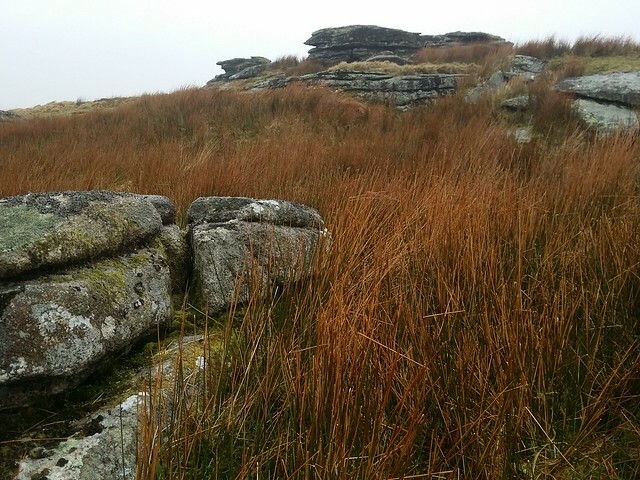 The Dartmoor Accomodation website describes a walk to Rough Tor that includes a small photo of the cross here. I'm assuming this is the rock they are both referring to. I expected a more dramatic crossing of Conies Down Water, but it was all very sedate and tranquil. 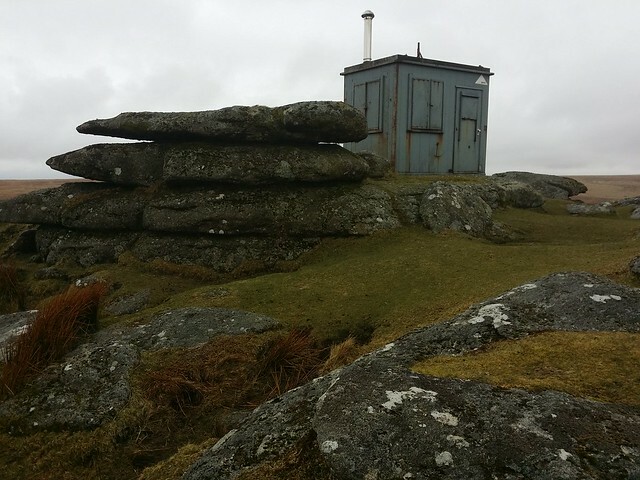 Up I climbed to my first tor of the day, Conies Down Tor. The clouds descended, impairing visibility, and I held out hope the forecast would be correct and this was just rolling by. 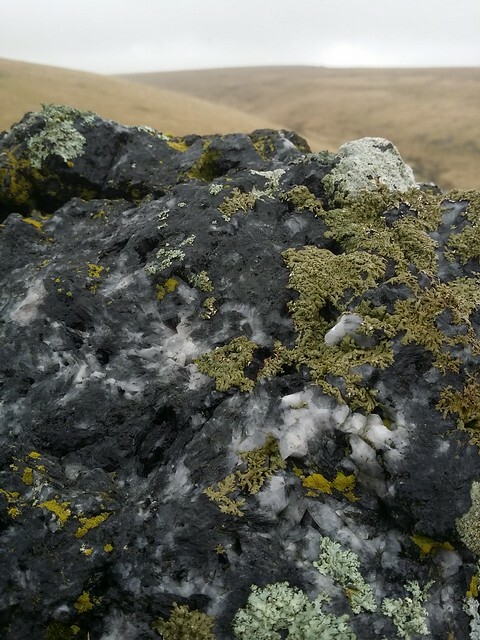 Leaving Conies Down, descending to cross the Cowsic, I encountered another outcrop. A pile of large flat rounded stones that I was quite impressed with. Sadly, it has been neglected and doesn't possess a name. Down to a sandy shallow ford, I spared a thought for Phil, Sarah and Kate the other week on the Lich Way; how they could have done with these water levels! I followed faint tracks up the hill, that steered me southwards. I was mindful that my objective was up there somewhere in the other direction, keeping an eye for Beardown Man over my left shoulder. 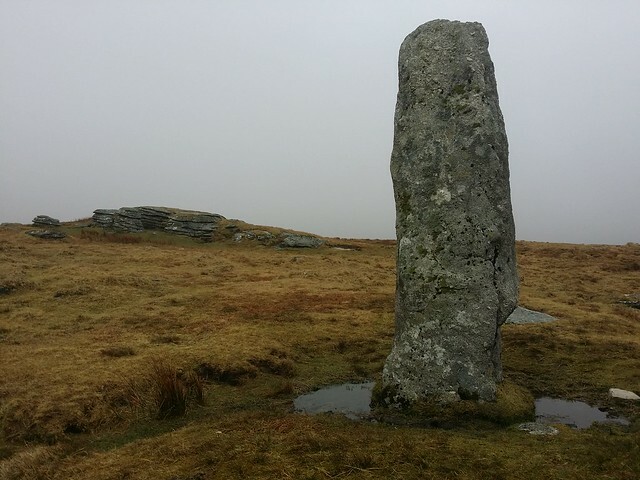 The clouds stayed away long enough for me to catch sight of the standing stone once I had scaled the majority of the hill, and I adjusted my course to approach it. 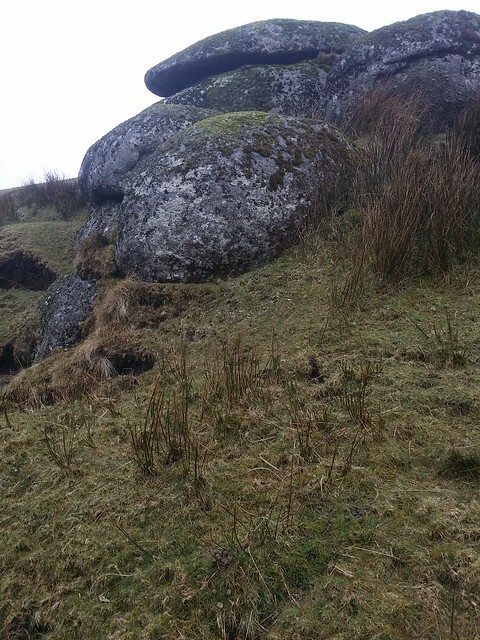 Were it not for this huge menhir, Devils Tor, situated about twenty metres beside it, would be rarely visited. It is unremarkable. More impressive is the outcrop further south, which I didn't visit on this occasion. 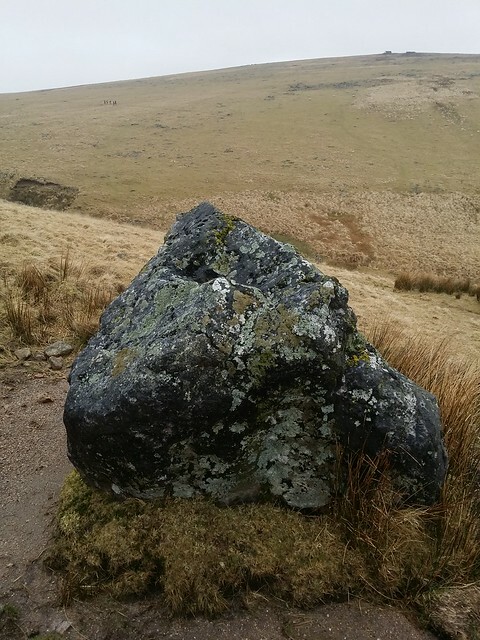 The standing stone is a bit of a mystery. Erected over 4000 years ago, its purpose is unclear. It is not part of a larger ceremonial site; none discovered, anyway. It's not on any known ancient byway and so not a waymark. 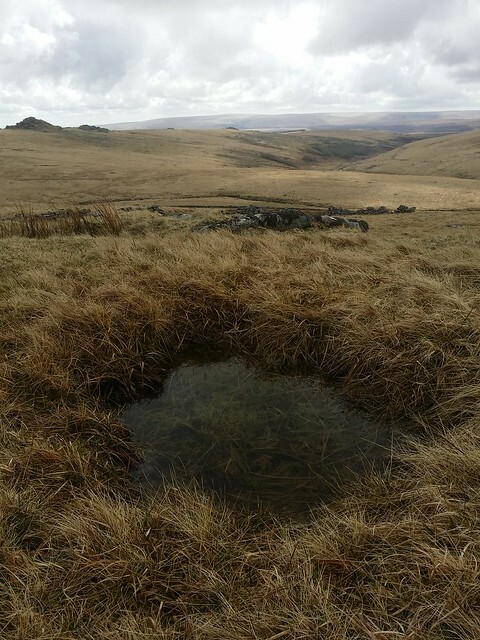 It's worth the trek, as it does possess some outstanding views - on a clear day, anyway! Cloud drifted back in as I stood at Beardown Man. 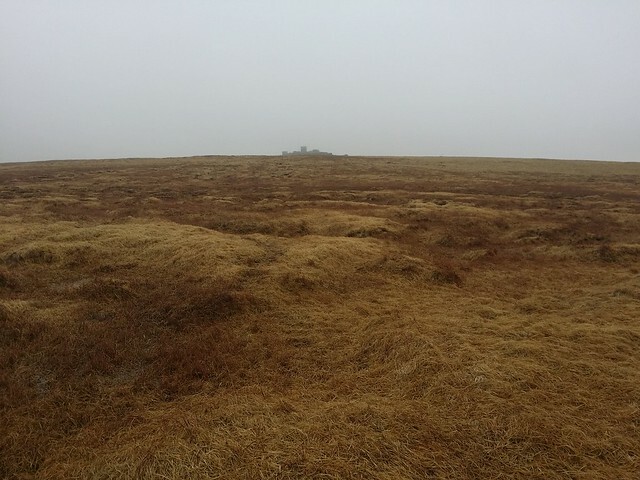 I took a bearing and set forth across the expansive blanket bog between Devils and Rough Tor. 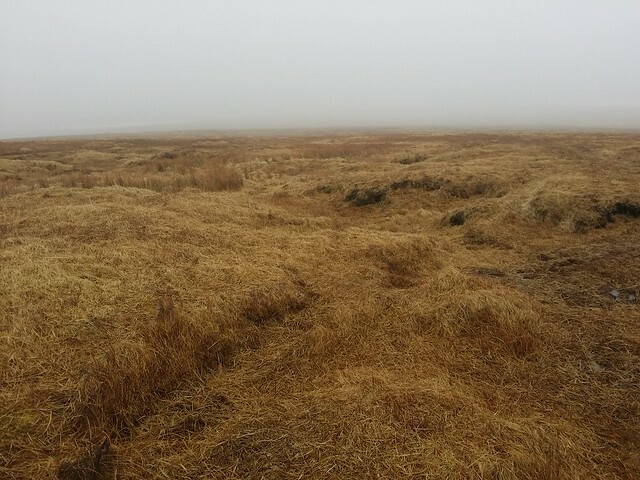 This is the stuff of Dartmoor; a featureless terrain shrouded in mist, the only means of confirming a direction by compass needle. Love it! The experience was sadly short lived. 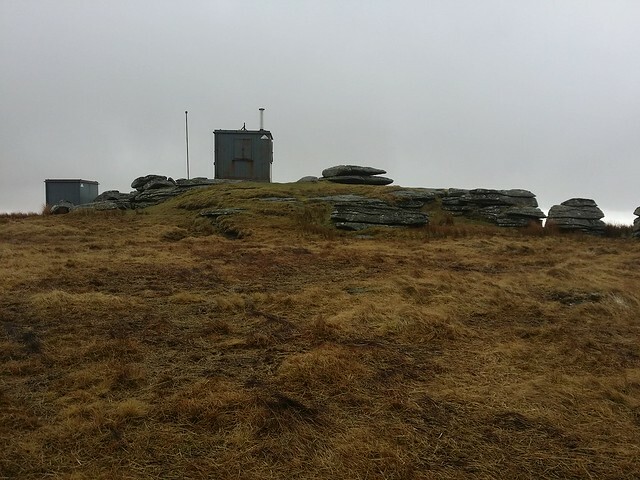 The visibility improved and the military hut atop Rough Tor (West Dart) appeared on the horizon. From this point on, the panoramas opened out and the day turned into a delight. 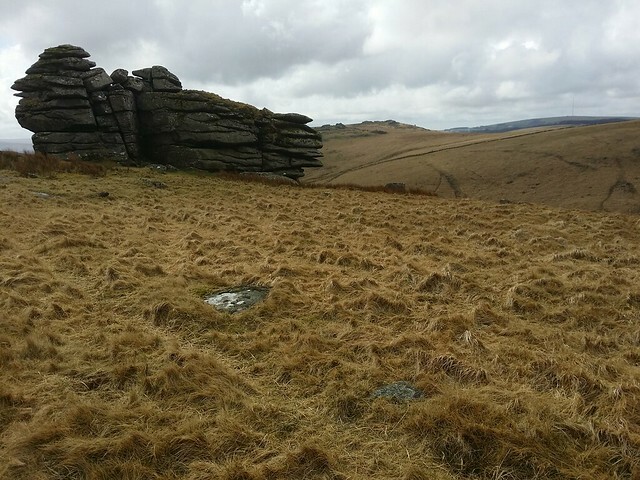 Sitting here on Rough Tor, tucking into my sandwiches and quaffing a hot flask of coffee, I contemplated venturing further north to bag Flat Tor. 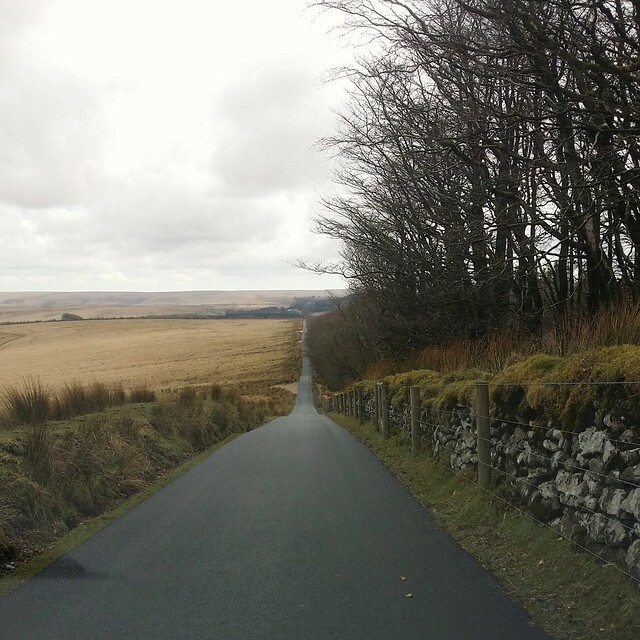 But then I noticed a semblance of a linear route appearing on my map, from Okehampton to Postbridge. 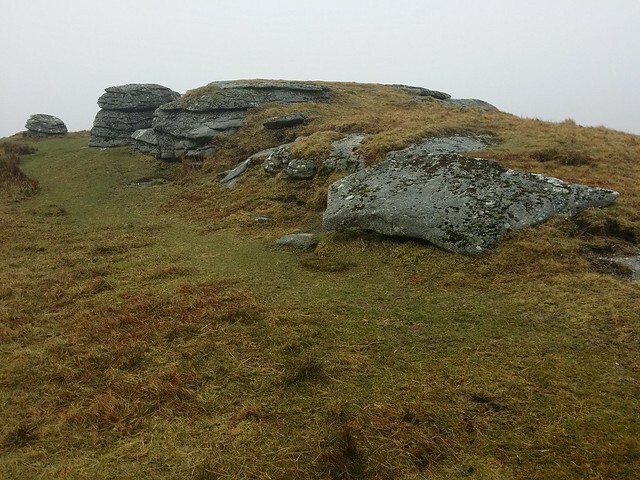 Made up of other unvisited outcrops; Great Kneeset, Little Kneeset, Flat, Little Whiten and Arch Tors, paired with some of the significant hills, it looked to be an interesting route. 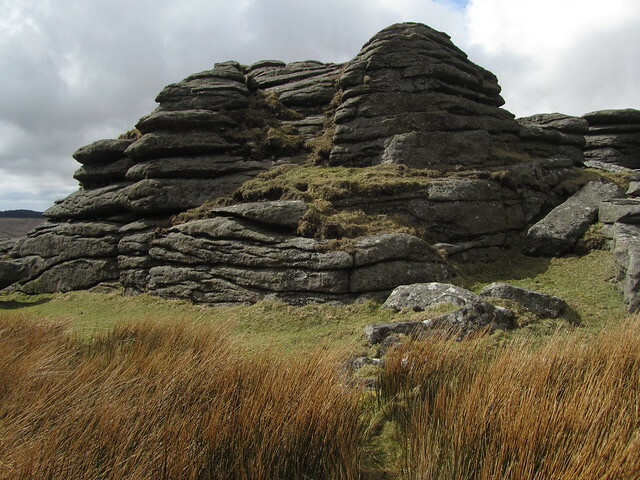 I've done a bit more investigation into this and found that if I continued in the same vein, on to Cator, Rowden, Wind, Blackslade Rock, Scobitor, Buckland Beacon and Welstor Rock, I have a trans dartmoor adventure between Ashburton and Okehampton for the Summer. I'll have the route up on Social Hiking soon. Back to the walk. 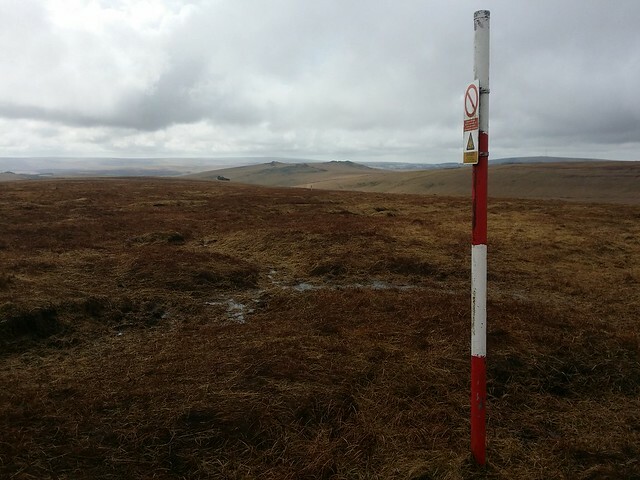 following the succession of firing range poles was the best way to go south to Crow Tor. 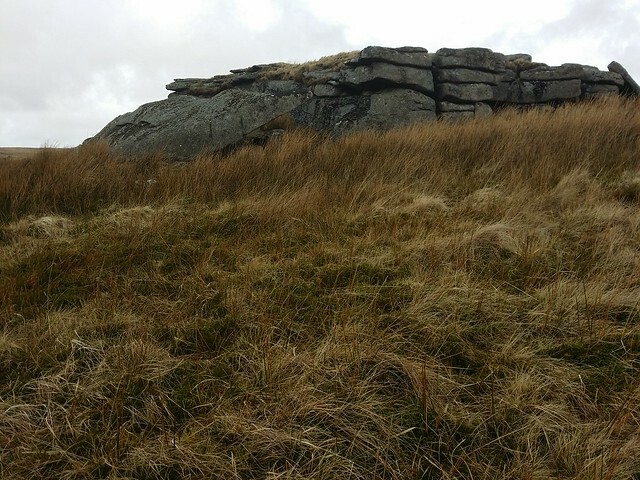 I must admit I had hardly noticed this high lump of granite before, but once seen, it is difficult to ignore. When it is reached, it is a beauty to behold. I immediately warmed to it. 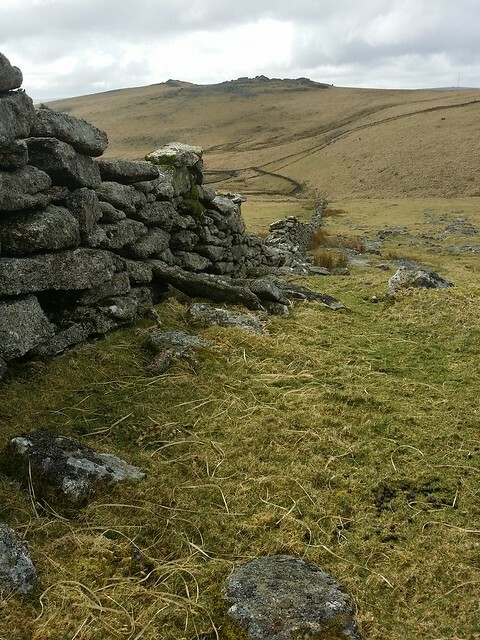 It is a lone tower easily scaled to its top, commanding great views of the likes of the West Dart Valley, Wistmans Wood, Beardown Tors to name a few. 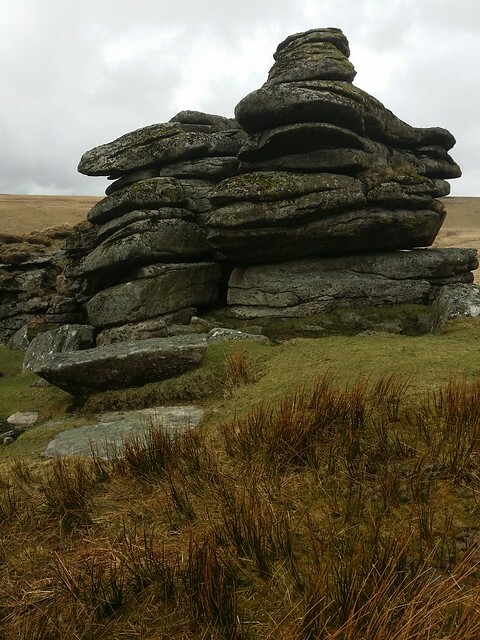 Visiting Little Crow Tor proved to be more difficult than it really should be. I wasn't looking for a tor so close, believing the outcrops I passed were a part of Crow. 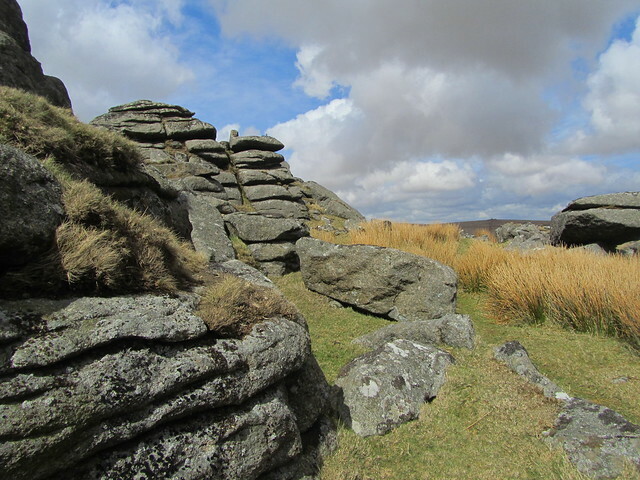 Reading the directions in Ken Ringwood's book; "It is immediately to the S of Crow Tor.." and using the coordinates on Social Hiking that were, in fact, an error, I headed on down the hill in search. I passed through a wall, confidence of a find diminishing, but when I reached the Social Hiking coordinates, and got the notification through on my phone, I realised something was amiss. 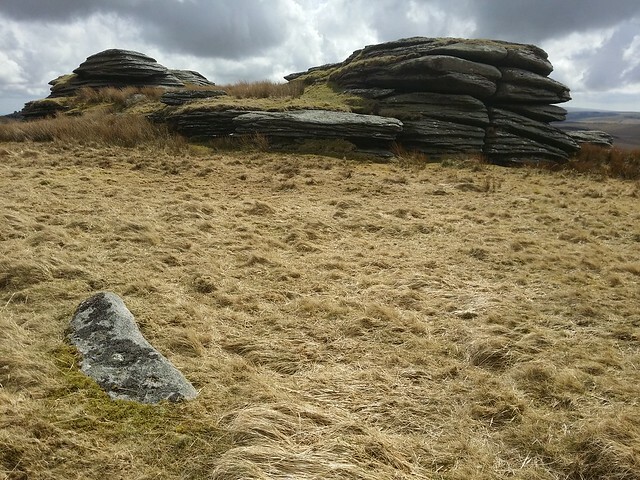 Plenty of rocks strewn about this field north of the West Dart, but no tor that matched the photograph taken by Ken! 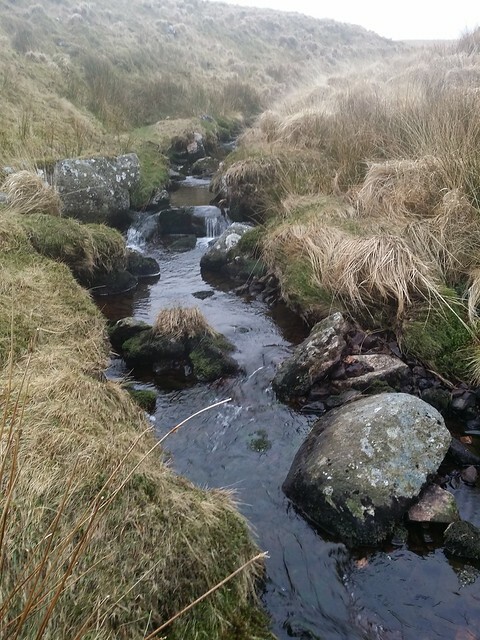 I wandered west, along the banks of a stream feeding the West Dart, but no joy. A less scrupulous Tor Bagger might accept the notification and move on, but not me. 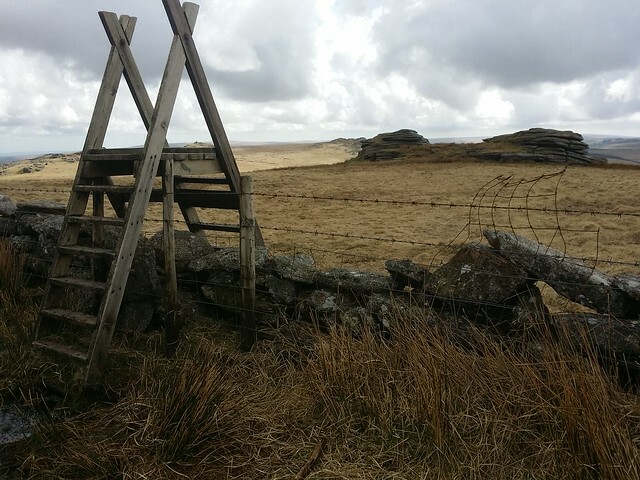 I finally checked Ken's grid reference, plotted it into my Memory Map app, and began to climb again. As I approached, his photo location appeared. Mystery solved! 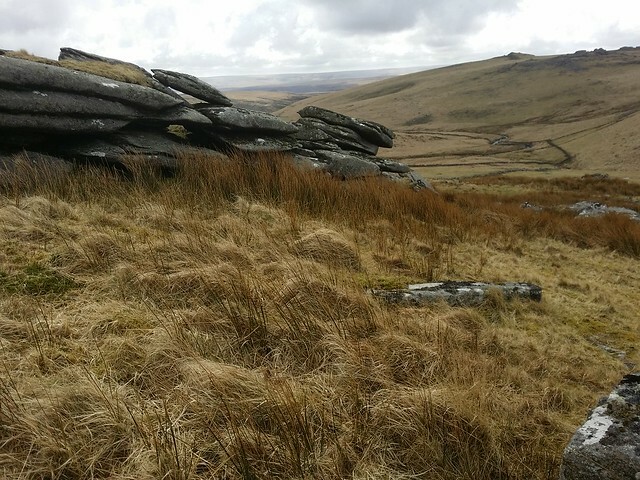 For the record, Little Crow Tor is not South of Crow, it's East. I sat down, and finished off my coffee and sandwiches. I figured it took so long to get here, I may as well enjoy it! Time to head back towards the car if I was to get home in time for the West Ham v Palace game. 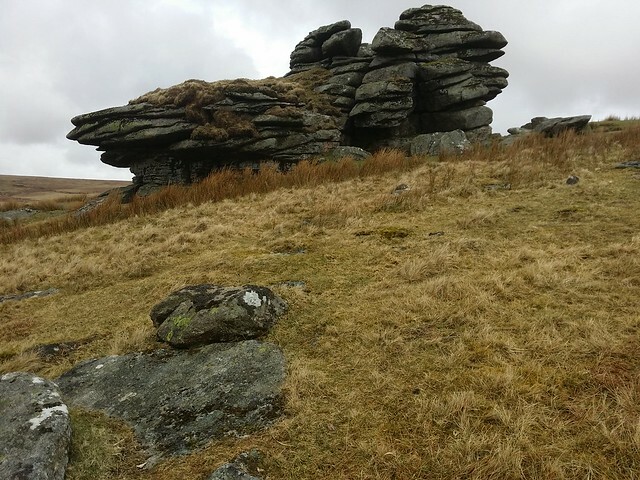 Over the stream, I climbed up to Lydford Tor, with a side step to visit another unnamed outcrop just below the brow of the hill. 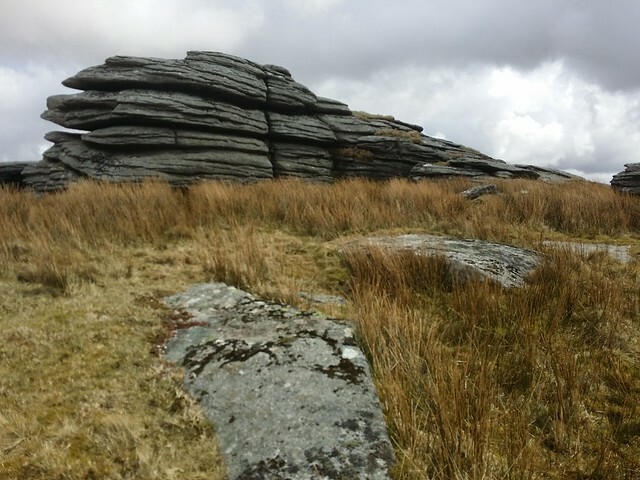 I've not been to Lydford Tor for a few years and I was pleased to be revisiting. 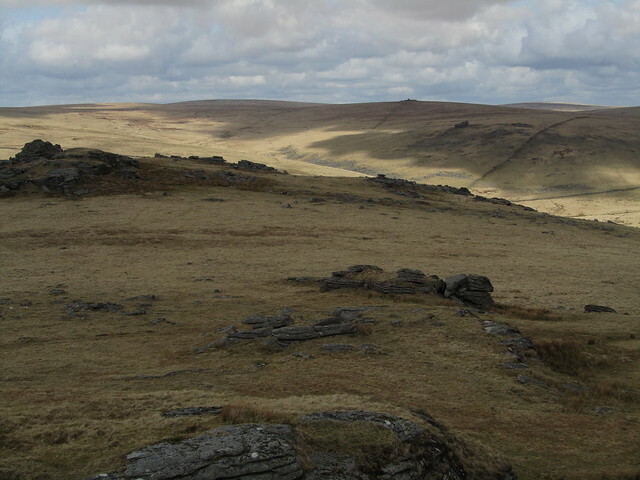 It holds a wonderful vantage point looking south-east to Beardown Tors, with Longaford and Littaford prominent behind. 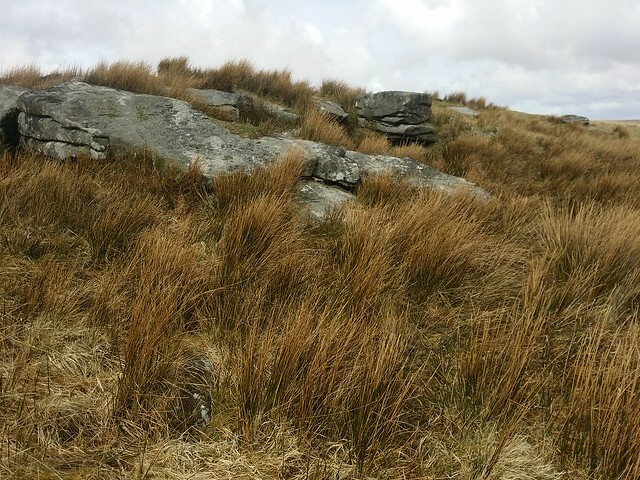 Just below, to the south, the Lich Way passes by and I joined it, very briefly, in search of a cairn and cist I had to locate when on my Walking Group Leader assessment many moons ago. 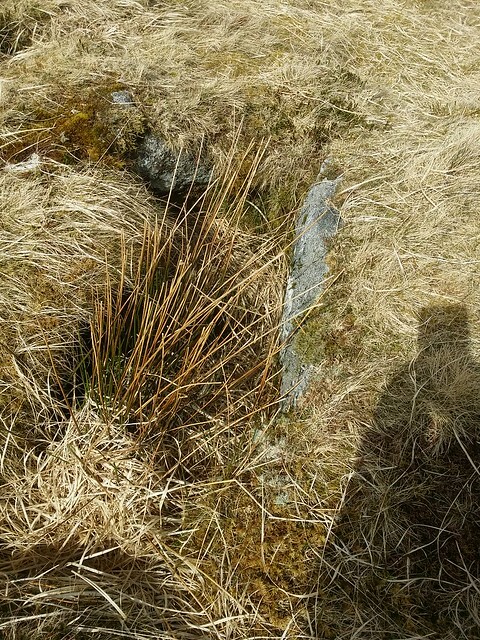 I was chuffed to find it again, especially as nature appears to be encroaching on the cist. When I was last here, I could stand in it! Up now to Beardown Tors. This is a collection of nine outcrops, apparently, but three of them are most prominent. Naturally, I had to visit all three as they each have their own charms and alternative views of each other and the surrounding terrain. 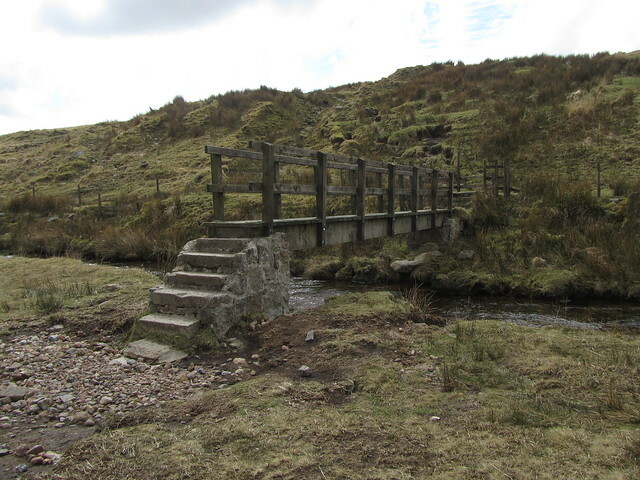 I dropped straight down to the bridge across the Cowsic, my circular close to an end. Across the river, up onto a track to Holming Beam. I rejoined the unsurfaced section of the road back to the car park, that, from afar, I could see was busy with farmers loading sheep onto a truck. 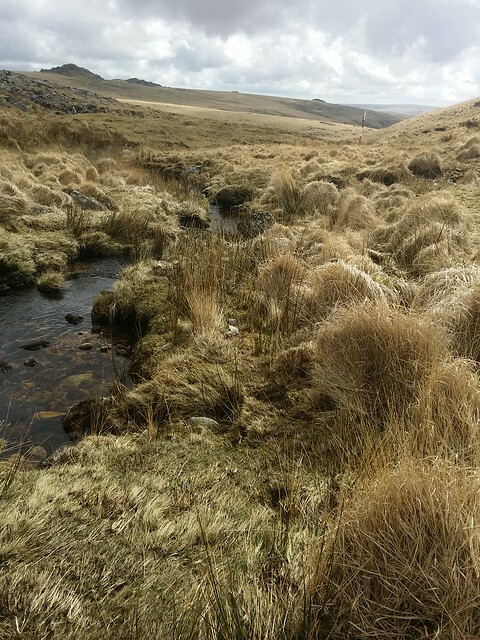 Fortunately, it was just then when I spotted a lone sheep lying in a boggy ditch just off the road. I stepped closer for a look and realised the poor thing was still alive and stuck fast. I hurried the last couple of hundred of metres to the car park and alerted the farmer straight away. He told me to hop onto the back of his quad bike and show him. The farmer dragged her out onto the grass. 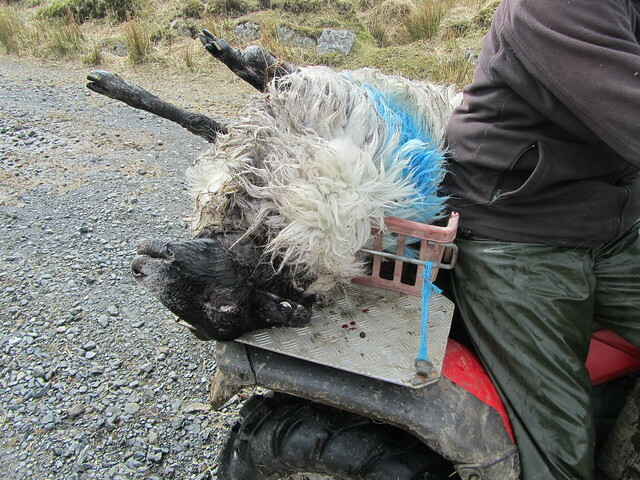 She was exhausted and pregnant with two lamb. I helped haul her onto the back of the quad and the farmer told me I wouldn't have to go to church tomorrow; a good deed done and three lives saved! He thanked me and sped off to reunite her with the rest of the flock. I returned to the car, satisfied with the days walk and chuffed to have been of assistance to the farmer. That was the icing on the cake! All packed up, I started home, but not before taking a quick snap of the lovely new road.